Our U12 girls team played against St Mary’s in the final on Monday 18 March beating them with a final score of 2-1. Coach Mr Simpson said “it was a fantastic game to watch” with the team bringing their lead back in the second half by giving it their all and securing the trophy. Congratulations to players of the match Poppy M and Lexi H, and to the rest of the girls Evie L, Jessica T, Abi W, El O, Molly L, Martha G, Kitty E and Emma M.
The Year 7 B Team boys played their match against Wolfreton on Friday 15 March where they worked hard for their deserved 3-2 win. There were a number of outstanding goals by Charlie F, Alex K and Tom A that helped the team secure their victory against the local team. Well done to all the players on such a great achievement: Samuel W, George L, Jonathan L, Sam A, Riley C, Austin N, Leo G, Charles F, Jacob P, Even R, Henry N, Alexander K, George P and Thomas A. Finally, it was the turn of our A Team Year 7 boys who played their finals game against St Marys on Friday 22 March. The pressure was on to complete the hat-trick of successes for our new and youngest year group at the school but they managed to bring it home with an impressive 3-0 win. 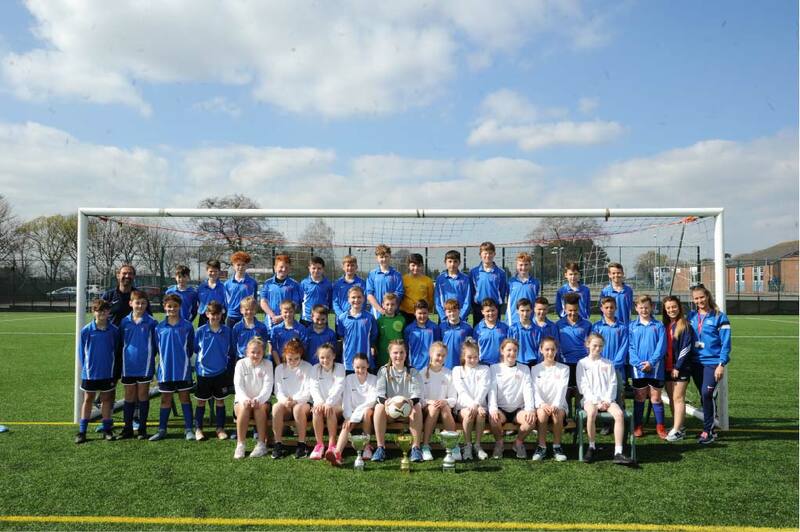 Many thanks to all our players for their hard work: Stanley A, Ed D, Josh E, Ben F, Matthew H, Edward H, Nathan H, Edward M, Charlie N, Jack R, George S, Will T and Freddie W.
In other news our U12, 5 a side girls football team played in the ESFA Monster Fives National final at PlayFootball indoor centre, Birmingham. The girls played a total of 6 challenging games to an amazing standard against some great teams. Most of their games finished with extremely close results including their final game which lead them to finish in 8th place. They had a great experience at their first National final and we cannot wait to see what is yet to come for these superstars. The team included: Molly L, Martha G, Lexi H, Emma M, El O, Evie L and Goal keeper- Poppy M.